SALE OF ARTS BY RANJANA VERMA. HER ARTS ONLINE ARE AVAILABLE ON ARTZYME.COM. RANJANA VERMA WITH HER HUGE INTEREST IN ARTS AND CRAFTS; PURSUED ARTS AND CRAFTS AS HOBBY JUST AFTER COMPLETING HER GRADUATION AND GRADUALLY IT BECAME HER PASSION AND THEREBY LEARNT PAINTING AND FINE ARTS FROM HER LOCAL INSTITUTE AND LEARNT SCULPTURE, PASSED IGD EXAMINATION CONDUCTED BY GOVT. OF MAHARASHTRA. 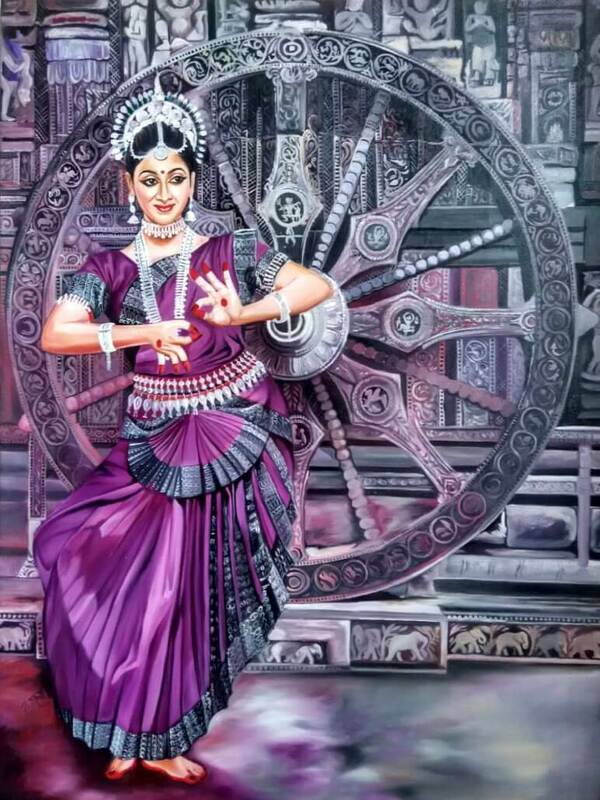 SHE COMPLETED DIPLOMA IN FINE ARTS FROM SWAMI VIVEKANAND SUBHARTI UNIVERSITY, MEERUT. AFTER WHICH STARTED HER OWN INSTITUTE OF PAINTING, FINE ARTS, SCULPTURE, CRAFTS AND CERAMIC WORK AT VARIOUS PLACES OF U.P. AND KARNATAKA. SHE SPECIALISES IN STILL LIFE, LANDSCAPE AND FIGURATIVE, BUT HER FIRST LOVE OF PAINTING IS HUMAN EXPRESSION. SHE USES OIL COLOURS IN MOST OF HER ART WORK. SHE APPLIES RICH AND BRIGHT COLOURS IN DIFFERENT LAYERS COMPLETING IT BY APPLYING BOLD STROKES AND TEXTURES. SHE IS ALSO MASTERS THE ART OF CLAY MODELING, CREATING A VARIETY OF MURALS TO ADD TO HER COLLECTION OF BEAUTIFUL AND ARTISTIC WORK. SHE CURRENTLY PERSUES HER PASSION AS PRT SCULPTURE TEACHER IN DPSG, GHAZIABAD SINCE SEPT2012. SALE OF 100% ORIGINAL & AUTHENTICATED ARTS ONLINE ON ARTZYME.COM, INDIA'S FAST GROWING ORIGINAL ARTS & CRAFTS MARKETPLACE. LET'S CONNECT 'heart to heart thru Arts'.